Did you know that 91 percent of surveyed people say they notice vehicle graphics? That’s powerful information, because vehicle wraps can provide your business with cost-effective advertising outside the home. Volkswagen of Streetsboro, serving Streetsboro, Kent, and Akron, OH, is proud to offer Hotcards Vehicle Wraps, the hottest mobile billboard in town. 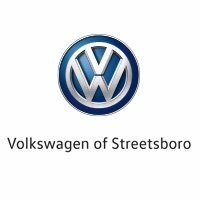 Hotcards and Volkswagen of Streetsboro are members of the Become Known Family of Companies, and we can provide you with one of the most efficient ways to use your vehicles to get your message out. Hotcards works with dealerships across the country to install your vehicle graphics wherever you’re located. We manage a coast-to-coast network of certified installation technicians who are trained to provide the highest levels of service and quality from each of our locations. Hotcards makes vehicle graphics affordable with easy payment plans. We’ll be happy to work with other dealerships if you bought your vehicle elsewhere. Or you can drop by our Volkswagen of Streetsboro, convenient to Cleveland, Westlake and North Olmsted, OH, and arrange a beautiful new vehicle wrap via all major credit cards, cash or check. As a further incentive, we offer special discounts for large fleets. You can trust Hotcards Vehicle Wraps, because we provide an industry-leading 5-year warranty on materials and installation. We are members of the Association of Equipment Manufacturers, the American Public Transportation Association, the Specialty Graphic Imaging Association, and the Truck Renting and Leasing Association. Our award-winning in-house team does all the design work to bring your brand to life. We know how to create vehicle wraps that capture attention and prompt your prospects to act. With the right design created by our talented, professional team, you’ll promote a strong brand image wherever you drive, helping you to sell more of your products or services. When you want an eye-catching display on your vehicle, rely on Hotcards and Volkswagen of Streetsboro to do the job right. Contact us today!